The impressive Arts & Crafts segment of the sale features pieces by Gordon Russell, William Birch and the undisputed King of the craft, William Morris. It is no secret that William Morris still remains today as one of the most important figures in British textile production. The revival of traditional British textiles is owed largely to him, as he played a significant part in the socialist movement in Britain. In 1877, he opened the doors to a store on 449 Oxford Street, London. By 1880, Morris & Co. was adored by Britain's upper and middle classes. This fire screen from 1890 is from the company's most popular period. 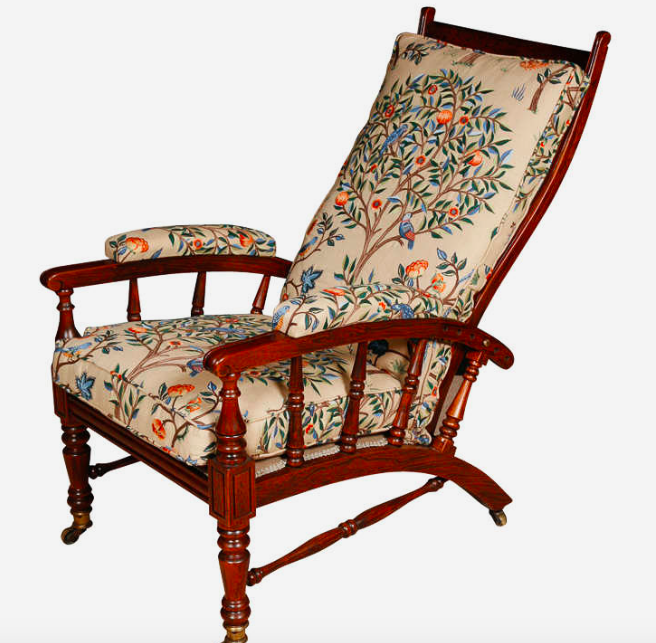 This piece is an example of a Morris chair, which was a reclining chair adapted by Morris & Co from a prototype made by Ephraim Colman. 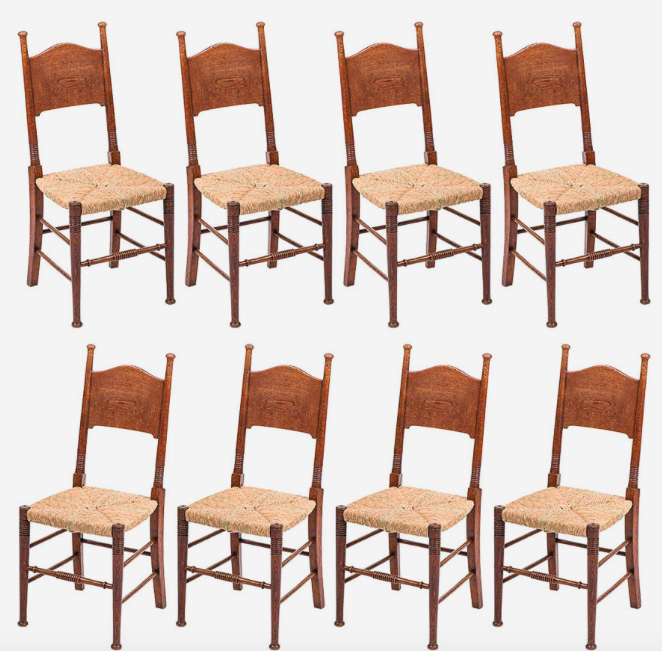 It was first marketed around 1866, with the main features of the chair being the hinged back. 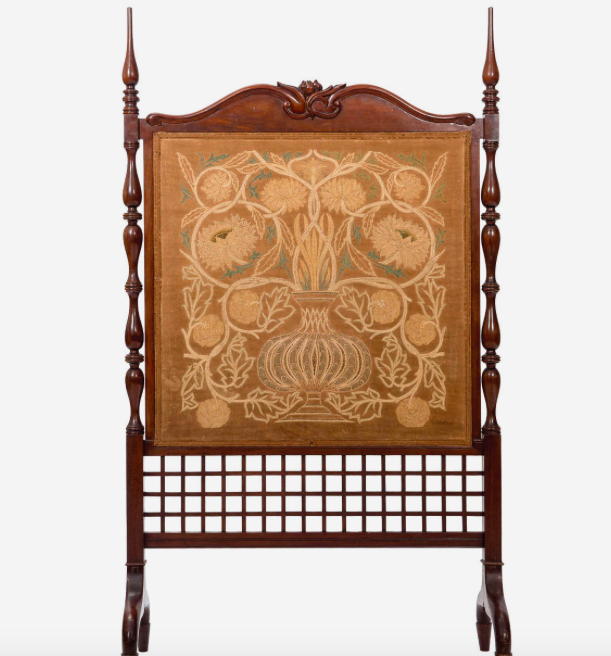 William Birch specialized in chair making during the Arts & Crafts movement. His factory supplied pieces for Liberty & Co. in the late 19th and early 20th centuries. 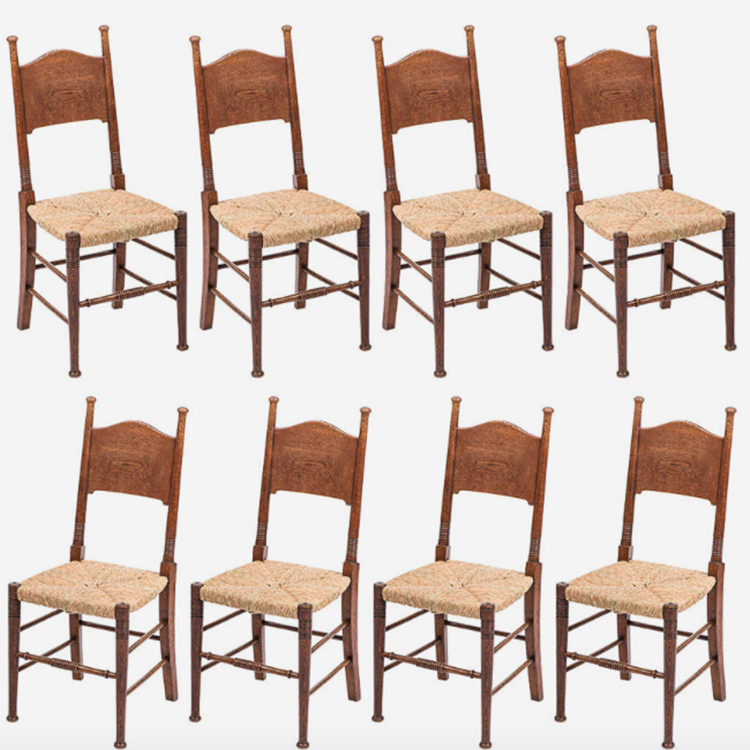 His rush seated designs such as these were most popular with customers of Liberty & Co.
Gordon Russell is one of Britain's most important figures in terms of shaping the design history of the nation. 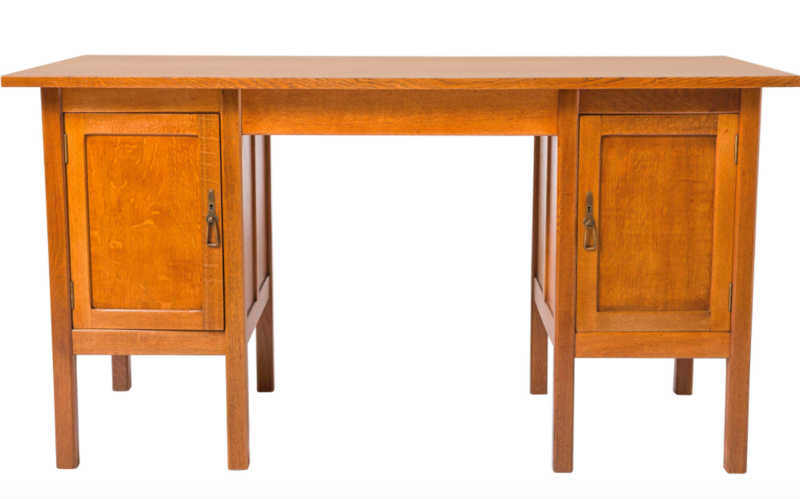 After serving in World War I, Russell returned to furniture design, creating well-designed affordable pieces influenced by the Arts & Crafts style. In the 1920s Gordon began to exhibit his own designs at the Victoria and Albert Museum and the Paris Exhibition, where in 1925 he won a gold medal for a cabinet made in the Arts & Crafts style of Ernest Gimson.